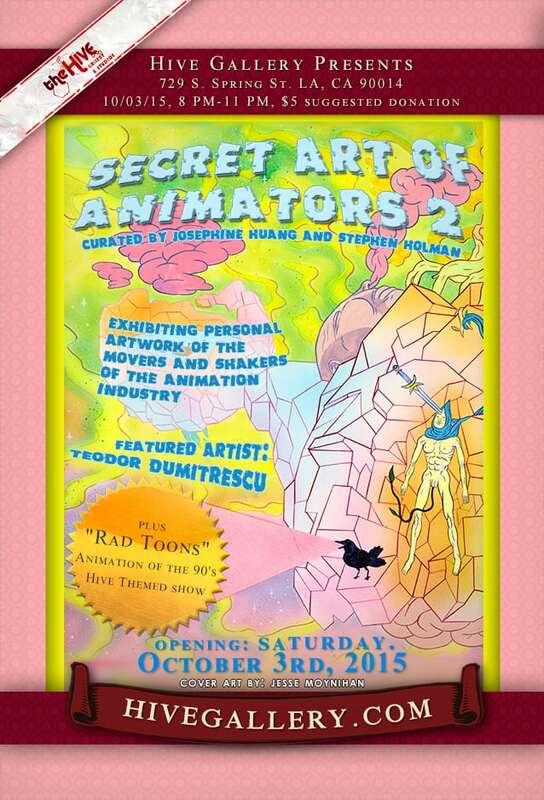 “Secret Art of Animators 2”- Featuring the personal artwork of TV and Film Animation directors and producers we love! Rachel Silva / Mandy Cao / Marissa Lamour / Peach MoMoKo / David Bena / Thom Foolery / Bobby Rojas / Jess Jerome / Jaime Jiminez / Dillon Kroe / Chris “Ralski” Amesquita / Carissa Louise Martin / Bev Hogue / Emma Rose Laughlin / Jason Bud / Joon / Daniella “Wicked Eyes” / Angie Samblotte / Maria Oglesby / Pascal Cormier / Joey Rotten / Mo Powers / Cary Day / Frank Venadas / Mcandrod / Yanis Zambeis / Crystal Brackett / Chris Farrington / Mary Delioussina/ Lauren Jensen / and more!! !